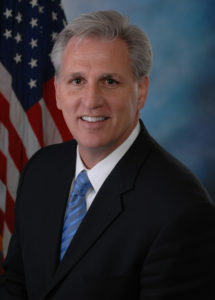 Kevin McCarthy is the Republican Leader of the United States House of Representatives. He is dedicated to preserving and promoting the American Dream for all hardworking Americans. Kevin McCarthy proudly serves as Representative for California’s 23rd Congressional District and as the Republican Leader of the United States House of Representatives. Kevin believes in a strong, fiscally responsible, and free America where every person has the opportunity to achieve the American Dream. In Washington, Kevin fights every day for the constituents of California’s 23rd District and for the future of America with the simple promise: to have the courage to lead with the wisdom to listen. A fourth-generation resident of Kern County, Kevin is the son of a firefighter and the grandson of a cattle rancher – raised in a working-class Bakersfield household, Kevin learned the value of hard work at a young age. Ultimately, he fulfilled his dream of opening his own small business, Kevin O’s Deli. He quickly learned firsthand how government is too often an obstacle to success – a lesson that compelled Kevin to enter public service. Kevin married his high school sweetheart, Judy. They still live in the first house they bought together – the Bakersfield home where they raised their two children, Connor and Meghan. 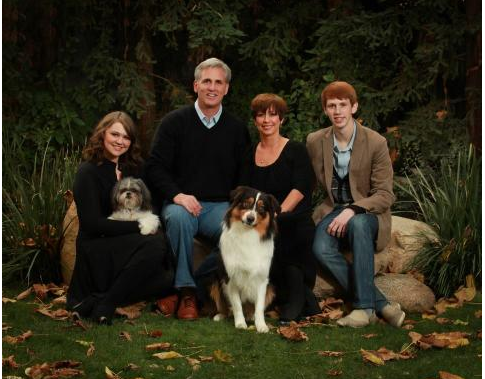 Kevin McCarthy is a principled conservative, who strongly believes that we must protect our nation’s founding ideals. Throughout his time in public service, Kevin has earned a strong conservative record, fighting for policies that will grow our economy, keep our country safe, and protect our values. In 2008, Kevin successfully fought to include a ban on earmark spending in the Republican Party platform – and when House Republicans took the majority, earmarks were abolished. He has protected Americans from the largest tax increase in history, eliminated overly burdensome regulations that inhibit job growth, and promoted North American energy independence. Kevin has led the fight to reduce government spending to protect future generations from carrying the burden of Washington’s irresponsible choices. During his time in the House Leadership, year-over-year spending on the federal budget was cut for the first time since the Korean War. In 2015, Republicans secured the first entitlement reform in decades – saving taxpayers over $2.9 trillion. Throughout his tenure in public service, Kevin has advanced policy solutions that foster more private-sector innovation and job growth. As a legislator who sits at the cross-section of America’s innovation economy, Kevin has a strong interest in finding new ways to leverage technology to build a more efficient, effective and accountable government for all citizens. As Republican Leader, Kevin has a unique ability to bring people together to solve problems and deliver meaningful results. Throughout his office, there is a mantra: have the wisdom to listen and the courage to lead. Follow House Republican Leader Kevin McCarthy on Twitter @GOPLeader.